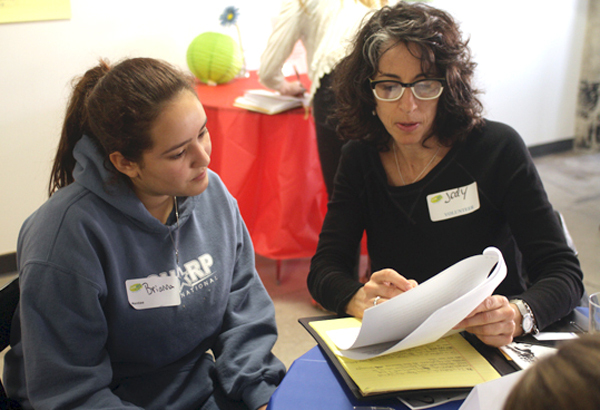 100% of WriteGirl Core Mentoring Program girls have graduated from high school and gone on to college! 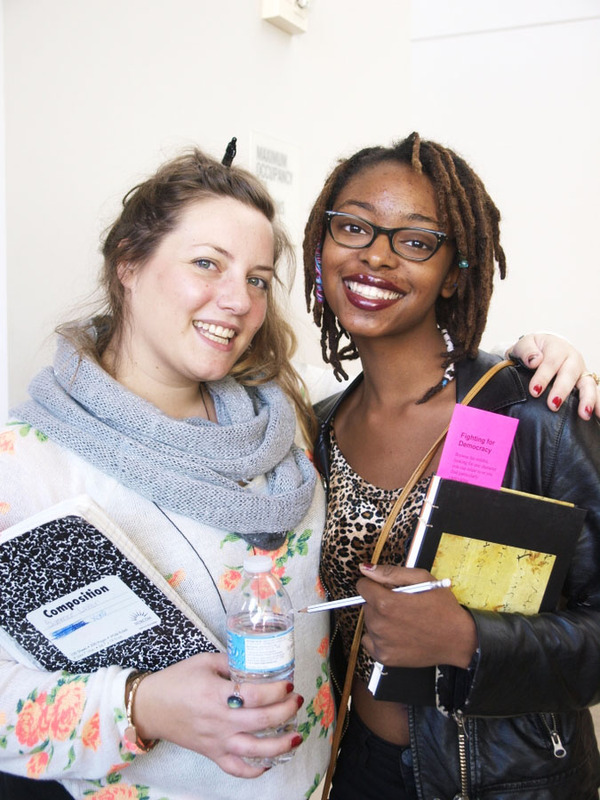 WriteGirl Seeks Women Writers to Volunteer. Apply today. 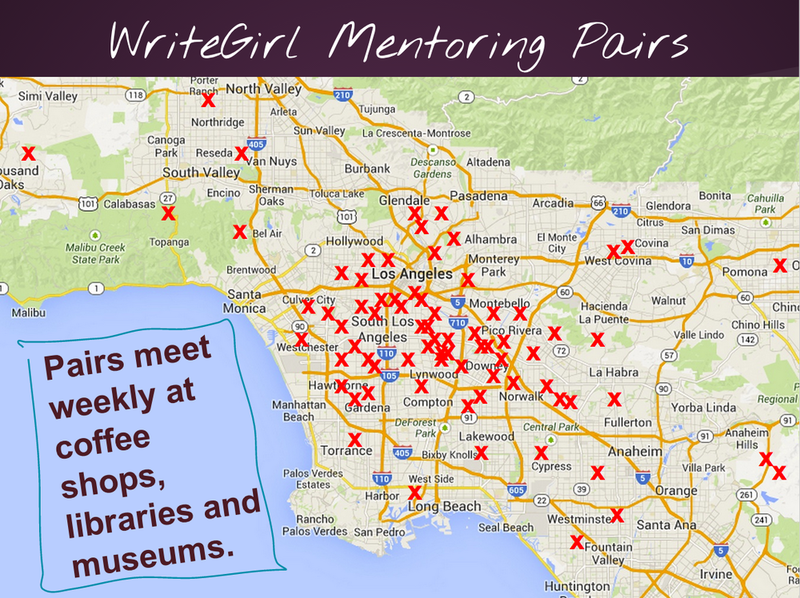 Every fall, WriteGirl holds volunteer training sessions to welcome new mentors to the program. If you are interested in volunteering for WriteGirl in any capacity, please fill out an application and join us. We'll have food, writing activities, and lots of information about how you can get involved. At the training session, you will learn specific techniques for mentoring teen girls. In addition to the application, please email your resume and two writing samples (any length, any genre) within the body of an email to volunteer@writegirl.org. These do not need to be published creative writing samples – we just need to know that you have competent writing skills, since that’s what we’re all about! Feel free to send samples of your business, marketing writing or even personal journal entries. WriteGirl will respond to your application within a few weeks. 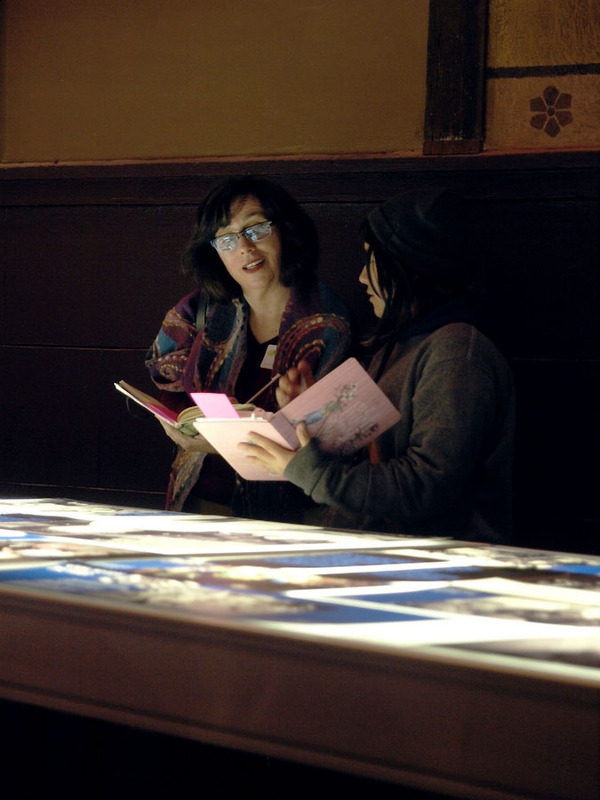 TIME: We ask you to commit to attend WriteGirl's Monthly Workshops, held on Saturdays, 11:00-4:00 pm. In addition, we ask you to contribute at least three hours each month to help support our activities, behind the scenes. PARTICIPATION: All activities, whether highly visible or completely behind-the-scenes, directly impact the women and girls of WriteGirl and the quality of their experience. We ask all members to participate on one of our volunteer teams. There will be more information about the teams and activities at the training/orientation session. We'll do our best to match your skills, interests and availability with our needs.